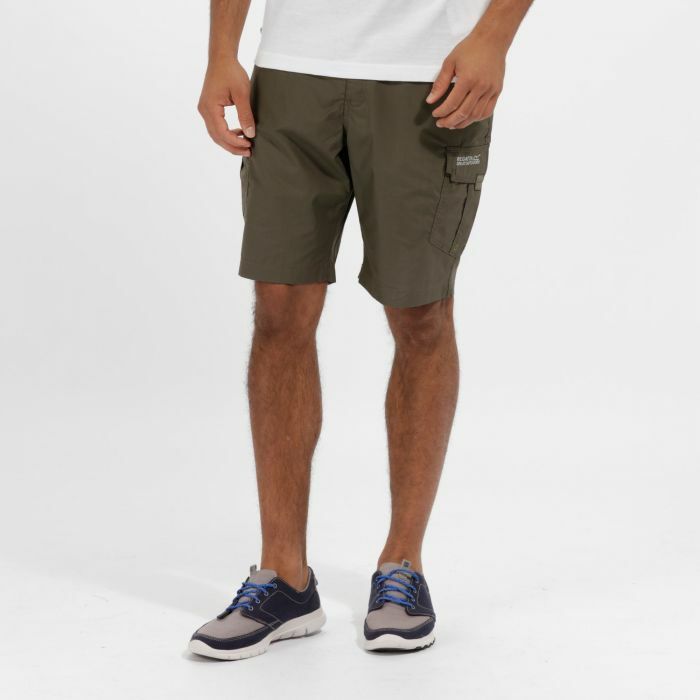 Relaxed-fit shorts with showerproof performance, this easy-wearing pair offer light protection for exploring trails, muddy walks with the dog and general wear around town. Made from tough wearing polyester/cotton blend fabric equipped with a DWR (Durable water-repellent) finish to resist drizzle and light showers. The part-elasticated waist gives you plenty of room to move while multiple pockets keep you organised.